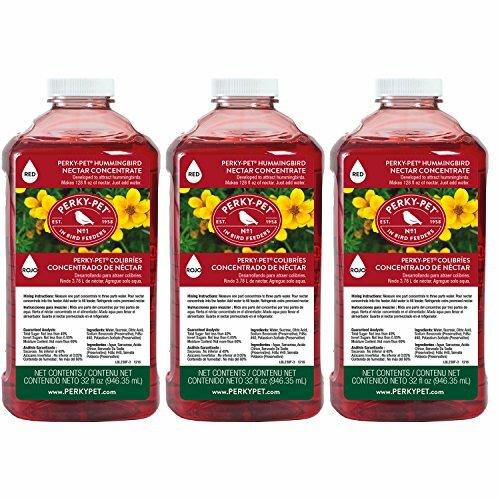 Perky-pet 32 fl oz red hummingbird nectar concentrate is made of 100% sucrose, the ideal energy source for hummingbirds after flower nectar. Each 32 fl oz bottle of concentrate makesup to 128 fl oz of hummingbird nectar. Perky-pet is the leading supplier of wild bird feeders & accessories. Perky-pet wild bird feeders lure Birds by providing an inviting opportunity to eat. In turn, you get hours of joy as Birds flock to your feeder.